The pre-order beta for Space Hulk: Tactics will begin on Steam, Tuesday, September 25. 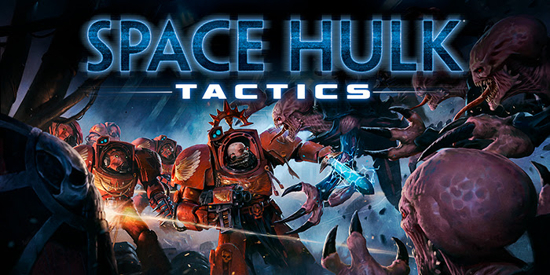 A faithful adaptation of the classic Warhammer 40,000 board game of Man versus Alien in desperate battle, Space Hulk: Tactics brings new twists to the formula along with extensive customisation, two full campaigns, and much more. In this trailer we profile the Genestealers, the festering malice at the heart of the Space Hulk, ready to cut down any and all Space Marine Terminators that come aboard. Their strategies and playstyle are completely different, creating truly asymmetrical multiplayer. Using their numbers and agility to their advantage, the Genestealers are a more aggressive force, but one with less options on how to handle each situation. The Space Hulk: Tactics pre-order beta begins September 25 on Steam. The game releases on Xbox One, PS4, and PC on October 9. Another Warhammer 40,000 cult classic: Space Hulk! Bringing a unique twist to the classic gameplay of the cult board game, engage in bloody battles through an immense Space Hulk - a twisted mass of asteroids, wrecked ships and debris – as either a squad of Terminator Space Marines or the deadly alien Genestealers. Which side will you choose? Battle through two distinct, narrative-driven campaigns: lead a Blood Angels squad, which you will customise and upgrade as you progress, or control of the Genestealers for the first time in a Space Hulk game! Space Hulk: Tactics is based on the rules of the popular board game, given a fresh new spin in the form of the unique Card system. Cards give more ways to customise your squad before a match, and allow you to turn the tides of battle with abilities that trigger game-changing effects when used at the right moment. Test your skills against other players in the expansive online competitive multiplayer. Command a swarm of Genestealers or a custom squad of different unit types from one of four Space Marine Chapters – the Blood Angels, the Space Wolves, the Ultramarines, and the Dark Angels. The game includes a built-in intuitive map creation tool, to design your own original maps with custom objective, and share them with other!